by Brianna Crandall — March 27, 2019 — WINT Water Intelligence, an Israeli tech company that provides cutting-edge water management solutions for commercial and industrial applications, has just announced the availability of its leak detection and water conservation products and services in the United States. The Water Intelligence device connects to a water pipe and records digital patterns of typical water flows through the pipe. WINT uses advanced artificial intelligence (AI) to recognize these patterns over time, such as a toilet flushing or a water faucet flowing in the sink, and to perform real-time water-flow analysis in order to identify anomalies, waste and leaks at their source. If an anomaly is detected, the Water Intelligence device sends an instant alert — such as a text or e-mail message — directly to the facilities manager’s phone or device telling the FM the exact source of the leak, such as the floor where the leak is being generated and the type of device (e.g., toilet, lavatory sink, pipeetc.). The device then can automatically shut water off to that floor to prevent damage. The WINT solution also delivers detailed analytics, reports, and deep insights on how much water a specific leak will waste and cost over a period of time, enabling sustainability and FM teams to reduce consumption and prevent damage. Stuck toilet: Notice that there is a handwash shown in the middle of the toilet’s refilling. But since the water supply doesn’t go back to “0” (it shows 80 gallons per hour), it signifies a leak. When the leak doesn’t stop after a short time period, an alert will be sent. Graphic courtesy WINT. Click on graphic to enlarge. Pipe break incident: The leak is letting more and more water escape, which it does at a higher rate as time goes on. The FM is notified, and the leak gets fixed. Graphic courtesy WINT. Click on graphic to enlarge. The WINT Water Intelligence device is designed for use in commercial facilities such as office buildings, hospitality, education, and manufacturing industries. WINT recommends placing one device on each floor of a building, another to cover outdoor spigots, and an additional one near the cooling tower or anywhere else where one wishes to isolate the source of a water leak problem. Water can be a source of significant damage. An unexpected burst pipe can damage infrastructure and equipment and severely disrupt operations in a facility. Moreover, it’s no secret that water is one of our most precious resources; insight into how and where it is used is critical to conserving water and reducing consumption. Our machine learning continuously adapts to local usage patterns, providing valuable visual feedback and instant alerts to facility managers, who can in turn use the information to easily discern between a malfunctioning device or a pipe break, for example. Our clients are already reporting 25 percent lower consumption while using WINT, and we look forward to helping businesses throughout the United States avoid crippling water damage and become more sustainable enterprises. WINT says it is passionate about helping the world conserve one of its most precious resources, and the company is dedicated to helping businesses prevent the hazards, costs and waste associated with water leaks. 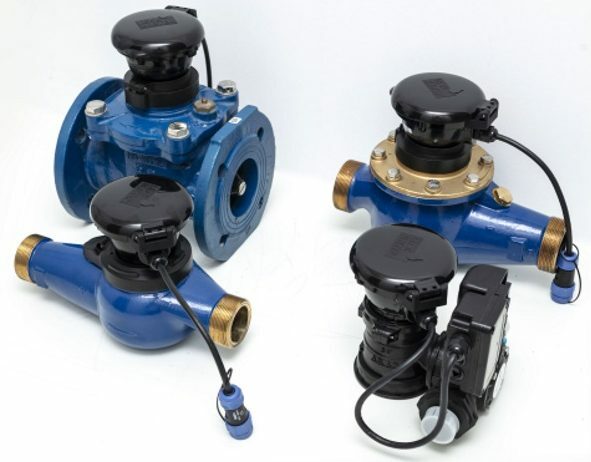 Utilizing the power of artificial intelligence, the convenience of high-speed cellular data connections and smart shut-off valves, Water Intelligence units provide an all-in-one leak detection solution for commercial FM teams looking to eliminate the fear of plumbing disasters and wasteful water loss.